UV nail gel is placed directly over natural nails like nail polish. It gives natural nails the strength and durability of acrylic tips. It's a thin, clear gel that is applied directly to the natural fingernail. UV nail gel helps protect the nail from daily abuse such as banging, typing and washing. 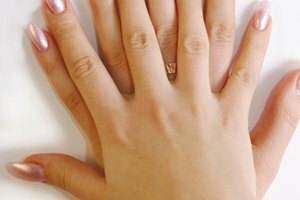 According to NailSplash.com, many people apply UV nail gel to strengthen their nails instead of getting acrylics. Cover entire fingernail with a thin layer of clear UV nail gel using a brush. 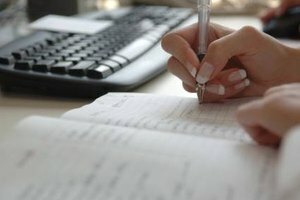 NailsDirect.com recommends outlining the outside of the fingernail with a cuticle pusher to make sure that the gel does not get on the skin. Repeat the process on each fingernail. Dry gel under a UV light for two minutes. Apply a second coat of UV nail gel to fingernails. 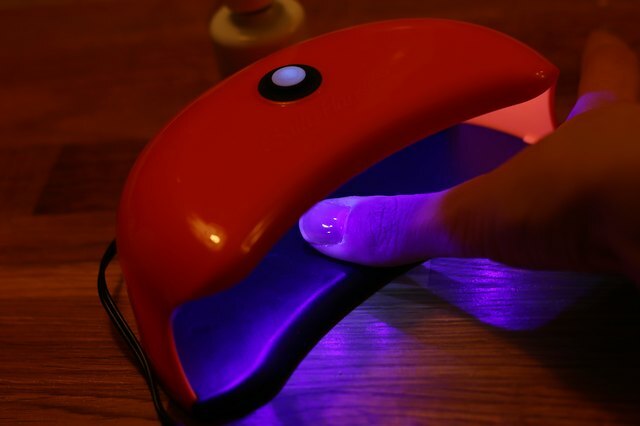 Dry nails under a UV light for two minutes. Apply a clear topcoat to gelled nails. Allow nails to dry for 30 minutes. Apply cuticle oil using a cotton swab. Rub the oil into the cuticles. Shelby Winchell has worked as a journalist for more than seven years, covering the economy, political figures and celebrities for various websites. She has a bachelor's degree in broadcast journalism.